« God Help The Ukrainian Jews. We are back at home in Israel and God willing we will have a couple weeks to work on survival food for those in need. Not only the ones we bring home by boat but for others here in Israel that God places in our path for assistance. Over the years we always gave assistance to 3 Jewish families at a time, helping them until they didn’t need our help and then we take on another family. But God has shown us the need to prepare on a much larger scale. We have Mylar Bags that can be sealed and placed in 40 lb cans, such produce as dry beans, rice, Chickpeas, Oats, Wheat and other items. We have set up our small Aquaponics greenhouse system behind our house here in the Judean Hills and hopefully have learned enough to expand to a larger operation depending on the ability to buy or lease the needed land to set the operation up and as I am sure you know time may not be on our side but God is. 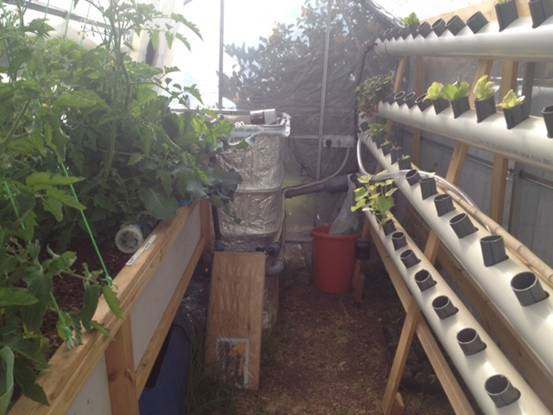 The above system is great for a small family, it raises a lot of veggies and fish very quickly and organically. Once the system is up, balanced and running, it takes very little to maintain. A system like this can be set up anywhere and it uses about 1/10th the amount of water a regular garden would use. You can run a search on Aquaponics and learn a lot. The amount of good organic food and fish you can raise on a small piece of land is absolutely amazing. We looked at a 123-foot Gullet that was built in 2008 and it could easily carry 100 people. 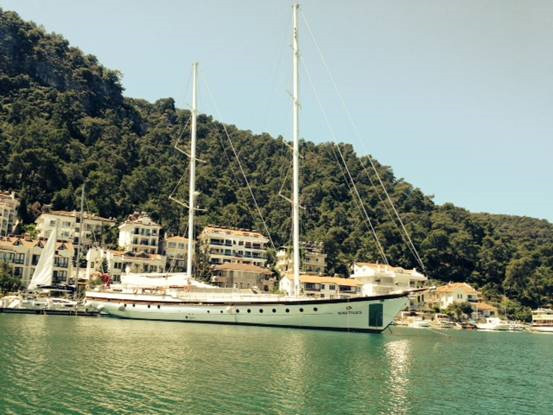 She sails at 16 knots and under motor power 14 knots, with a cruising range that would put places like the Ukraine within our reach with no problem. The material cost to build this boat was over 1.5 million Euros. 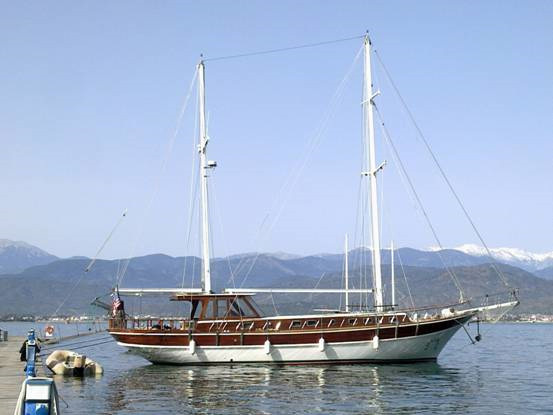 It is solid Mahogany with a teak deck. We were led to believe that because of some sort of disagreement on operating cost for charter between three owners she sat in this position for the past couple years. Today they are asking 500,000 euros for her and rumor has it that they are going to put her up for auction soon, meaning she might go for less. My guess is that a 300,000 euro bid could win. NO, we don’t have that kind of money for this purchase but we all know Who does and Jewish life is not cheap. This may or may not be the boat we need, but certainly it would fit the bill and very little is needed to bring her up to sea worthiness. Something to pray about anyway. Just so you can see the difference in size, the Gullet we now have is 60-feet and would carry on a long trip like the Ukraine around 30 maximum. All I can do is ask the body that God has joined to this ministry to pray over all the above needs.